In order to provide a general framework within which the dispersal of cells or organisms can be studied, we introduce two stochastic processes that model the major modes of dispersal that are observed in nature. In the first type of movement, which we call the position jump or kangaroo process, the process comprises a sequence of alternating pauses and jumps. The duration of a pause is governed by a waiting time distribution, and the direction and distance traveled during a jump is fixed by the kernel of an integral operator that governs the spatial redistribution. Under certain assumptions concerning the existence of limits as the mean step size goes to zero and the frequency of stepping goes to infinity the process is governed by a diffusion equation, but other partial differential equations may result under different assumptions. The second major type of movement leads to what we call a velocity jump process. In this case the motion consists of a sequence of “runs” separated by reorientations, during which a new velocity is chosen. We show that under certain assumptions this process leads to a damped wave equation called the telegrapher's equation. We derive explicit expressions for the mean squared displacement and other experimentally observable quantities. Several generalizations, including the incorporation of a resting time between movements, are also studied. 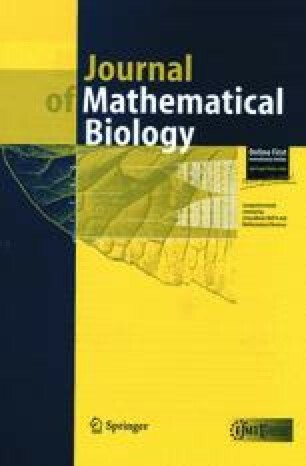 The available data on the motion of cells and other organisms is reviewed, and it is shown how the analysis of such data within the framework provided here can be carried out.